There have been many films made about the military regimes in the Latin American countries, but No, directed by Pablo Larraín and written by Pedro Peirano (based on a play by Antonio Skármeta) does not follow the conventions of any of its predecessors. Perhaps its unconventionality is the source of its success: this film, which played at the Abu Dhabi Film Festival in the fall, won the Art Cinema Award at the 2012 Cannes Film Festival, and is now one of five films nominated for the Foreign Language Oscar this year. The film illustrates the moment in Chilean history, in 1988, when General Augusto Pinochet Ugarte was forced out by the “No” campaign. The “No” campaign used happy commercials featuring family picnics, a rainbow graphic, and carnival-esque situations to show the bright future of the Chilean nation if it voted against Pinochet extending his sixteen-year rule for another eight years. By intercutting footage from the actual “No” campaign into the film, the director shows us the bleak reality of life under Pinochet and the hopes for a better future, as expressed in the ads. Not surprisingly, the Pinochet regime mounted its own campaign, the “Yes” campaign, but ultimately, by a very slim margin, the regime was ousted and Pinochet was replaced by Patricio Aylwin Azócar. Gael Garcia Bernal plays Rene, the young advertising employee who led the campaign and who, according to the film, lost himself in his work: the “No” campaign becomes everything to him, to the point that he cannot stop, even when the “Yes” campaign threatens him and his family. Rene’s family demonstrates the broader social situation confronting Chilean society: under Pinochet’s rule, anyone could be harassed, threatened, or “disappeared.” Rene becomes the human face of resistance to the regime. Director Larrain combines newsreel footage, hand-held cameras, and cinematic equipment from the era to create a sense of violent immediacy in the film, rekindling the urgency with which Rene and his colleagues find ways to combat Pinochet. The film erases the boundaries between “real” and “fiction,” pushing us ever further into Rene’s desperate attempts to keep himself and his family safe while remaining true to his convictions. 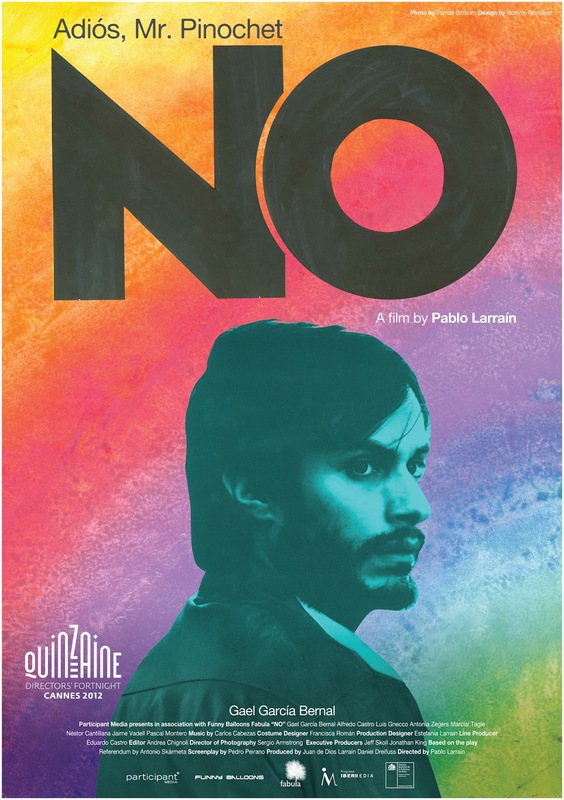 At the end of the film, as the crowds celebrate Pinochet’s defeat, Rene takes no credit for the “No” campaign’s contribution to the dictator’s downfall. Instead, the camera tracks Rene as he moves through the crowd, carrying his son in his arms. He is moving towards the future and saying, in effect, “no” to the past.